The World Will Break Your Heart. 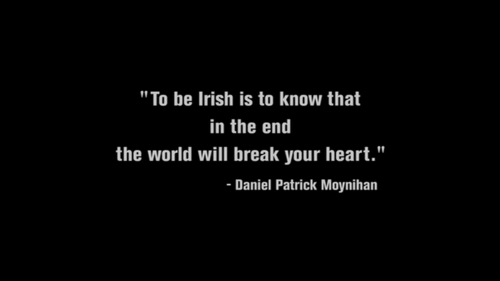 "To be Irish is to know that in the end the world will break your heart." -Daniel Patrick Moynihan. HD Wallpaper and background images in the The Black Donnellys club tagged: the black donnellys screencaps episode 4 the world will break your heart quote.